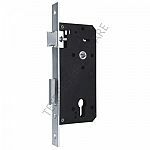 Mortise locks are an older style of door lock, typically seen in houses built in the mid-20th century and older. 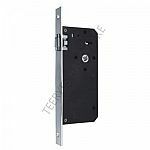 They are installed in the door, through a slot, or mortise, cut into the edge of the door. 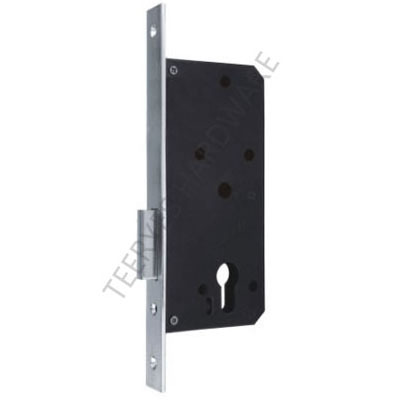 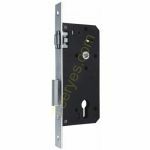 A mortise lock has a thin rectangular body which must be placed in a pocket of a door or piece of furniture. 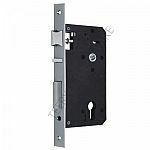 While these locks can last a century or more, security may dictate that you update yours with a reproduction designed to fit in the same space.